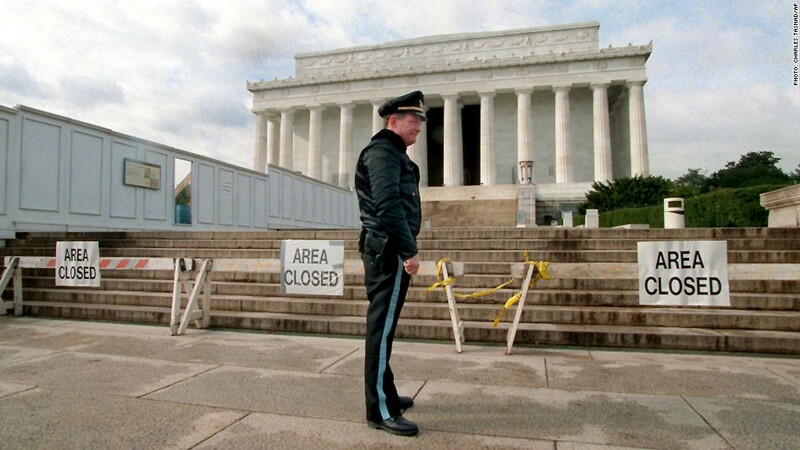 During the 1995 government shutdown, the Lincoln Memorial was closed to tourists, but a U.S. Park Service police officer was on the job patrolling the area. 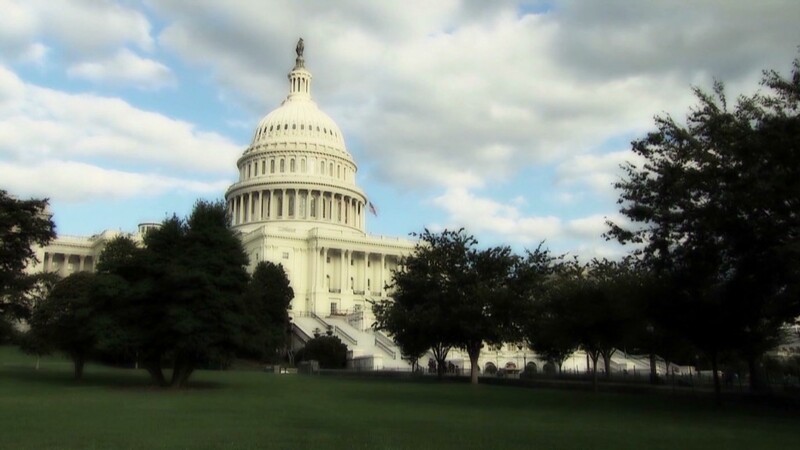 There's still a chance lawmakers will pass a short-term funding bill before Tuesday and prevent a government shutdown. But if they don't, then what happens? In one of the first orders of business, a dividing line will be drawn between the federal services and workers deemed essential and non-essential. Or, in the more delicate language of those drawing up contingency plans, "excepted" and "non-excepted." Those in the first category will carry on operations during the shutdown. The others will power down until Congress comes to its senses and funds the government. Workers who stay on the job during the shutdown will be paid, but they may not get their check until after it is over. Those who are furloughed are furloughed without pay but Congress may decide after the shutdown to pay them for the time off anyway. Essential activities are defined as anything that protects life and property. Also in this category is the actual act of shutting down an agency for the shutdown. After all, someone's gotta hit the light switch on the way out. And it pertains to the issuance of benefits like Social Security, funding for which is not dependent on lawmakers' annual appropriations. In all likelihood, the decisions agencies make about how to handle a shutdown will have to pass muster with the general counsel of the White House Office of Management and Budget, as was the case during the shutdowns in the mid-1990s. "This was entirely handled by OMB and it was all a legal determination," said Charles Konigsberg, who was assistant director of OMB at that time. In past shutdowns, essential meant many things, including: air traffic control and other transportation safety, national security, the handling of hazardous waste, food inspections, border protection, maintenance of the power grid and disaster assistance. It meant the continued payment of entitlement benefits. And it meant collecting taxes, issuing U.S. bonds plus anything else required for the preservation of the country's banking and monetary system. What exactly will happen this time if there's a shutdown? Federal agencies have not publicly revealed their plans yet. But if the plans they submitted in 2011 are any guide, fewer than 40% of federal employees would be furloughed. That still represents hundreds of thousands of people, however. The percentage for a given agency may be far higher or far lower. It all depends on how many of its activities meet the legal definition of what's excepted. The Department of Interior said in 2011 it would furlough about 76% of its employees. The department, which oversees national parks and the U.S. geological survey, said it would keep on 9,100 people to complete shutdown activities, provide for law enforcement and safety, among other things. Another 8,000 employees would have been kept on because they were in positions that derive funding from something other than current-year appropriations. The Department of Defense, by contrast, indicated all military personnel on active duty would be required to report to work. Most civilian personnel, however, would have been furloughed. And the only new contracts the department would issue would be for those performing excepted duties. Meanwhile, some positions in the federal government are automatically exempt from furloughs, like the president of the United States and members of Congress.